Everyone wants to live in a place that is beautiful and non-suffocating. Living in a home that has a lawn, backyard, garden or a front yard always seems to make you feel good, and helps in upgrading the health of you and your family. 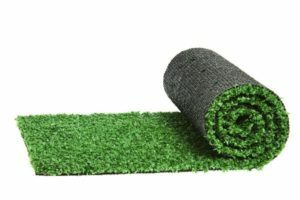 If you are inspired by your neighbor’s beautiful garden that has lush green grass, and you love that idea and might thinking to grow grass in your yard, then laying down some synthetic turf is a fantastic option. It looks like natural grass and makes your gardens or yard beautiful and bright. SRS turf synthetic grass is one of the leading artificial turf installers and suppliers. They put in all effort to make your garden and yards lush and fresh and provides you the best environment with the amazing quality of turf. SRS is a premium business that provides its services to the Melbourne and the surrounding areas as well. The hardworking team of SRS turf synthetic turf. Firstly the existing soil is removed. It is removed with the help of spray or bobcat. After that the site is cleaned up that means all the rocks and sticks are cleaned up from the site of all debris. Another important thing is which type of soil you have purchased? The soil must be weed free, and it should be of good top quality. The next step included in this process is leveling. The soil is now spread across the area with the help of a rake. The area that is going to be turf now covered with soil for about 100mm of minimum depth. The soil, then smoothened while making sure that the surface is flat and even. The massive amount of water is now showered on the area to prepare the ground settled. Installing the yard, garden or lawn is essential. Avoid walking on the slopes. Trim the corners and edges. Without stretching the joints are then firmed that binds the fibers with the backing. For binding, an adhesive that is malleable enough is used named as polyvinyl chloride is used. Make your home a place of nature’s reflection and experience the best synthetic turf with SRS grass turf that ensures to satisfy their customer with their best quality turf and services.